I love Easter. My Mom always seemed to have little gifts for the grandkids and make the weekend more special. Other holidays have gift expectations, but Easter gifts are a fun little surprise. Plus, let’s be real – Easter season brings out the best candy. These little holiday gifts are perfect for a hostess gift, a neighbor treat, or a little something extra from the Easter bunny. 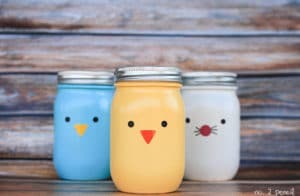 Mason jars are a great start to several lovely gift ideas. 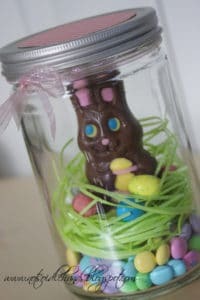 I love the layered cookie jar for so many holidays, but something about the Easter version is my favorite. 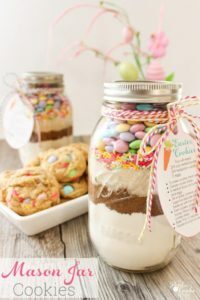 Works perfectly for hosts or neighbors, while a more kid-friendly mason jar is perfect for children who can’t wait to bite into that well-known chocolate bunny. Class party? No problem. 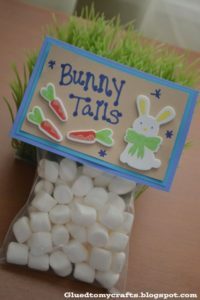 Bunny tails couldn’t be easier and cheaper to put together, just a few bags, labels, and a bag of mini marshmallows. 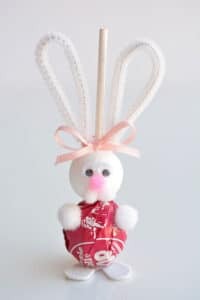 You can also help kids to make adorable bunnies on their own as a fun treat and craft in one. Some gifts can be as fun to look at as they are to eat. 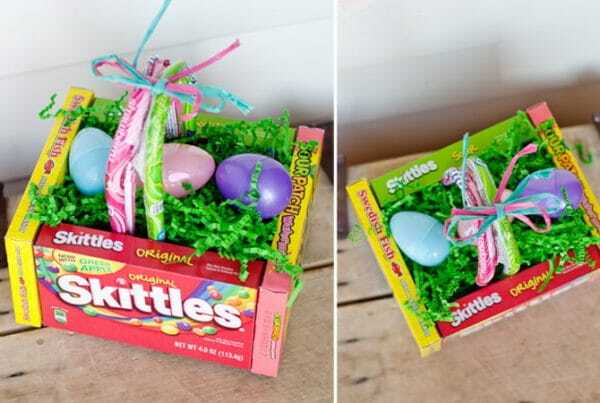 A candy box can be a perfect centerpiece for a kids table, or could even double as an Easter basket. 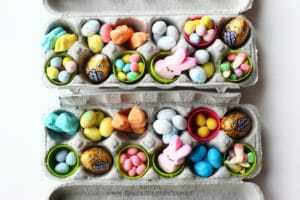 Can’t decide which Easter candy is your favorite? I can’t either, and now we don’t have to. Skip the hunt, skip the eggs, and let’s just get down to the good stuff. For a gift that is thoughtful and adorable without the sweets, there are lots of those types of options too. 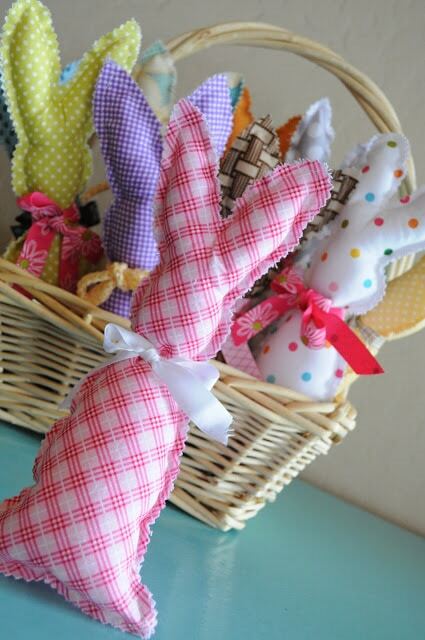 A simply made cotton bunny is perfect for babies, toddlers, and children. 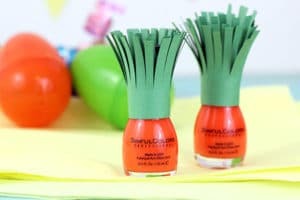 Older girls would love their very own carrot nail polish. 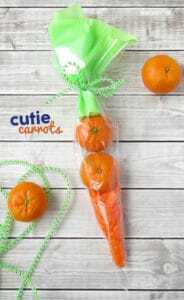 Of course, you can create cutie carrots out of nearly everything, including these classic halos. Of course, regardless of what you choose to give, you can always doll it up in a festive wrapping. Who knew you could create a crafty bunny out of a simple paper bag? Fill a seasonal mason jar with fresh flowers or a gift of your choice. I hope your family has a safe and wonderful Easter this year!